Axsys Automation is a full-service engineering and manufacturing firm. Our in-house hardware, mechanical, and software engineers work with you from concept through production. 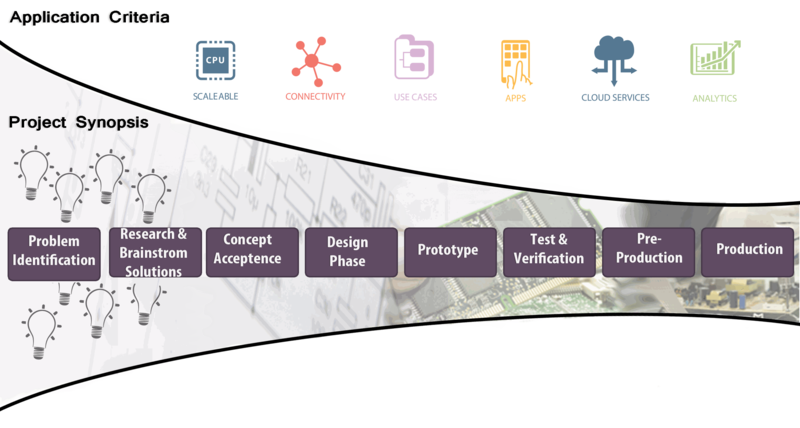 As product development experts, we understand how to apply technology to solve problems. A distinct advantage is our on-site production facility. From prototypes to production, our engineering staff is engaged throughout the entire process to ensure quality and design integrity. With the Internet of Things (IoT), there is a lot of confusion around wireless, cloud-connectivity and which technologies yield the best performance. Axsys uses a customer-centric approach centered around a deep discovery process and thorough analysis of the application's short and long-term goals. We leverage our experience and combine our discovery findings with disciplined engineering principals and best practices during the entire project. These proven and dependable processes focus on efficiency and performance through technology integration and optimize design and functionality of your product. Customers choose Axsys because of our vision, technology insight and approach to every project. Let us help you design a solution!